You are here: Home » Events » How to make accessible greenways? When designing accessible greenways we need to take into consideration a set of minimum, technical, accessibility-related criteria in order to ensure that greenways can be used and enjoyed by everyone – including people with disabilities – under safe and comfortable conditions. Accessibility to natural spaces has been less well developed than accessibility in urban environments. For this reason we believe it is essential to provide some guidelines that can be implemented not only on greenways but also in any action carried out in natural areas, such as paths, nature trails, etc. 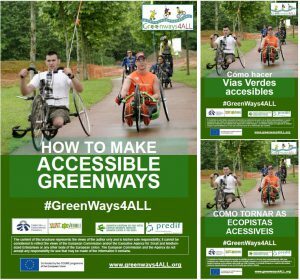 We are confident that this brochure will help European greenway planners and managers to develop initiatives aimed at improving accessibility along their routes and making greenways an integrating element for the development of accessible tourism experiences and products. 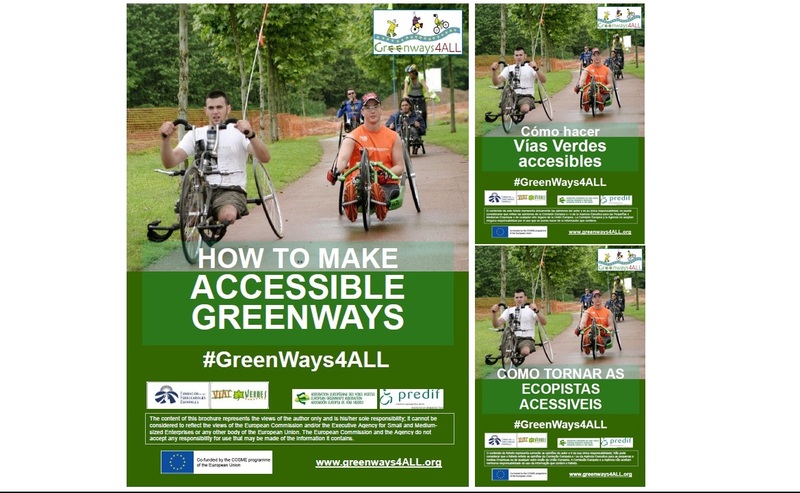 All this technical information, best practices for accessible greenways in Europe, and plenty more besides is available in the Greenways4ALL “Practical Guide to Opening Up the Territory to Accessible Greenways”. (in Spanish).